Who can doubt how powerful music is? For both good and bad, music affects and influences us at very deep levels. Music sets the mood and so often molds our emotional state. Whenever I hear the 1812 Overture played at a Fourth of July celebration just as the fireworks start, a big swell of patriotism rises inside me. Or when I hear a “Golden Oldie” from the 50s/60s I’m right back at a high school dance as a teenager. Then there are certain worship songs that seem to melt away everything around me and usher me into the presence of God. Our affection for all things musical comes from the creator of music, God. He loves it too. It’s one of the ways we are made in his image and likeness. Psalm 100:2 tells us; “Serve the Lord with gladness; come before his presence with singing.” Singing is actually a form of prayer and it should be in much wider use than it is today because it is so powerful. It’s wonderful for us and it’s a delight to God. Lots of things inhibit us from singing to the Lord. We don’t have a voice; we don’t know what to sing; we feel foolish and embarrassed; we never heard of doing such a thing before. So – let’s push all that away and start fresh. Like a child. Children often simply break out in little songs and it is such a delight to listen to them isn’t it? Our hearts are softened when we hear children at play in such an innocent way. If you think back really hard you can probably remember that even YOU sang little songs as a child. Therefore, it IS inside of you, right? Let’s resurrect that old talent even if deeply buried. I’ve heard small children sing off key with nonsense words and yet it makes me smile. So how to do think Father God feels when one of his children is singing to him whether in tune or not? I think he is smiling big time like a proud parent. Singing to the Lord may start as part of your private prayer time but you might get to the place where you feel comfortable singing along with close friends and prayer partners. Some churches have a time during worship where worshipers can sing spontaneously to the Lord and this is very good. It is wonderful when our private worship merges with our corporate worship and there is total freedom. Let’s say you have never done this before but would like to try. You are alone at the kitchen table drinking coffee in the morning. Or you are on the drive to work and the radio is off. You are by yourself on a walking trail at a local park. You are in bed at night ready to fall asleep and the house is quiet. These are good starting places. Now just sing whatever you would pray. Softly, not necessarily rhyming, whatever comes to mind, however the tune moves along. You may find yourself repeating one word or phrase over and over. You may sing bits of scripture back to the Lord or an old familiar hymn. If you feel awkward and uncomfortable at first, don’t worry. I can tell you for sure that your comfort level will increase the more you practice. You should really try to sing at least a little to the Lord each day. I can almost guarantee that eventually new melodies that actually sound like real songs will start to come forth out of your heart. You may start singing phrases that rhyme. You may find out your voice is better than you first thought. What is the value of the prayer that sings? I will list some things that I have found to be true out of my own experience. Singing overcomes depression and discouragement. We sense God’s delight with us; our fellowship grows closer. Singing changes the spiritual atmosphere in a place (see what happens if you sing in a room where there has been a big fight or in a house that has discord). Singing brings pleasure to us and to our Heavenly Father. Add singing to your prayer life for all of the above reasons and for some new things you will discover on your own. 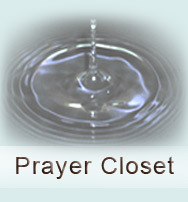 As you come into the beauty of this powerful prayer method please write to me and let me know the secrets you uncover. Beginner at prayer? Try this FREE four day email course called Prayer Launch.